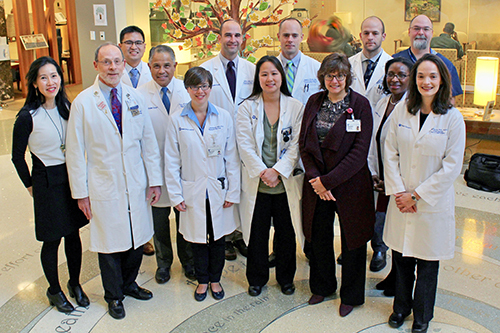 Duke radiation oncologists are leading the effort to use functional metabolic imaging to better determine prognosis, to predict the outcome of a planned course of treatment, and to personalize overall treatment strategies . They are studying the use of CT and PET scans before and early in the course of treatment to determine if changes can be used to adjust treatment to reduce side effects. This information will help to personalize treatment for individuals. Researchers are investigating a light-based optical probe to rapidly and noninvasively analyze tumor characteristics and identify biomarkers before and during treatment. This probe, developed by Duke University biomedical engineers, may improve the ability to detect cancer and monitor the effectiveness of treatment, thus facilitating more personalized treatment recommendations.